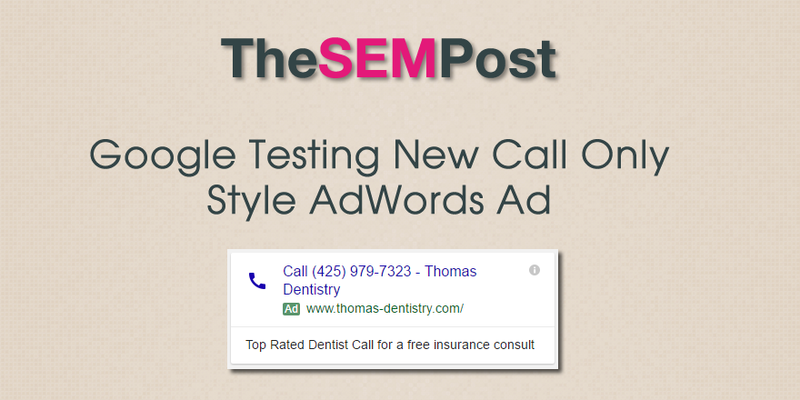 Google is testing a new variation of their call only ads, ads which are meant for searchers to simply phone the business rather than click through to the site. And these ones make it much more obvious that searchers should be calling them. Usually the call icon is on the right side of the ad, rather than the large one on the left at the front of the ad. 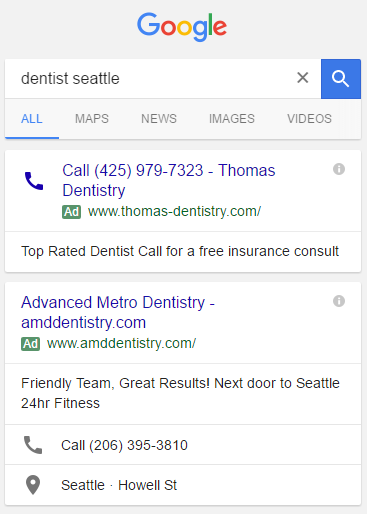 This ad doesn’t exclusively appear at the top of AdWords, which is kind of surprising since the performance would likely be much higher when it is the lead off ad. 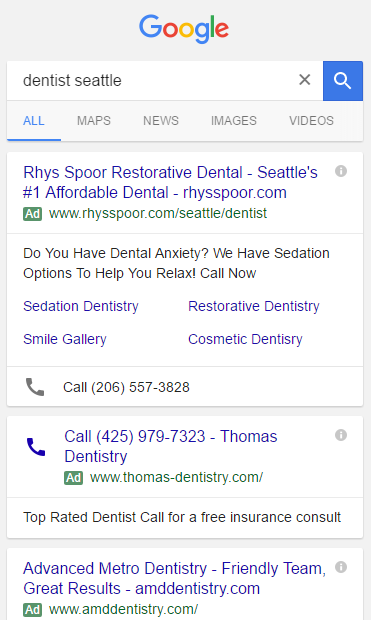 Here is the same ad lower within the group of AdWords ads – this one is actually below another ad with a call extension immediately above it.